When I get home from work, I’m usually so ravenous that the first thing I think of cramming into my mouth is a biscuit (or three). I find that the hiatus between lunch and dinner always seems more insufferably long than the one between breakfast and lunch. The other day I decided that enough is enough. So these flapjacks are a healthier snack to ‘keep the wolf from the door’, as you say if you were born in the ‘50s. It had always mystified me slightly how flapjacks seem to be considered a healthy option – as they contain as much butter and probably also as much sugar as the average biscuit. Maybe it has something to do with the oats, with their slow-release energy wholesomeness. I decided to add fruit to my flapjacks, to make them even more virtuous, and use agave syrup rather in place of the traditional, tooth-achingly sweet golden syrup. 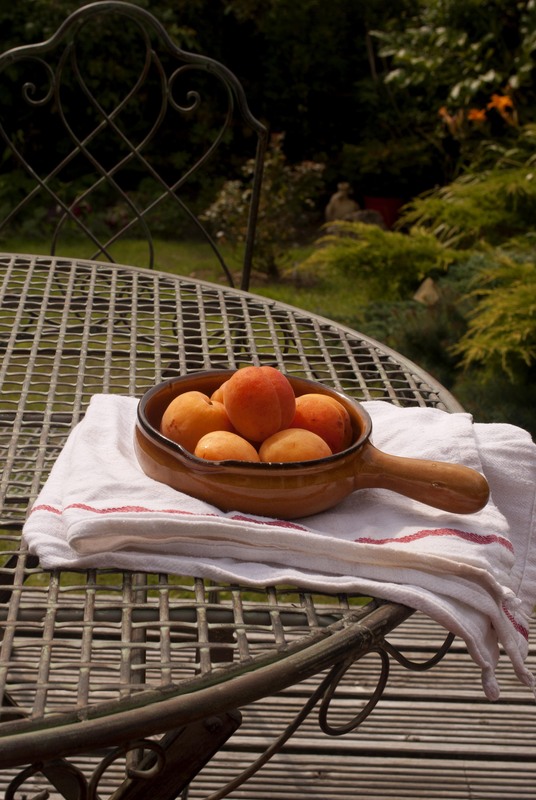 There is always a slight panic that sets in as we approach the end of summer- the need to gorge on all the fresh fruit you can, whilst simultaneously finding some way of preserving it. Stewing fruit with a bit of water and sugar – also called a ‘compote’ –is a good method. There is a bittersweet sadness to consigning bags of compote to the freezer, only to be bought out again when summer is a distant memory. This recipe uses apricot compote, made from fresh apricots, water and sugar, as a layer in the middle of the flapjacks. Preheat the oven to 180C. Grease a brownie tin or small roasting tin with oil (I used one measuring 30 cm square. First, make the compote. 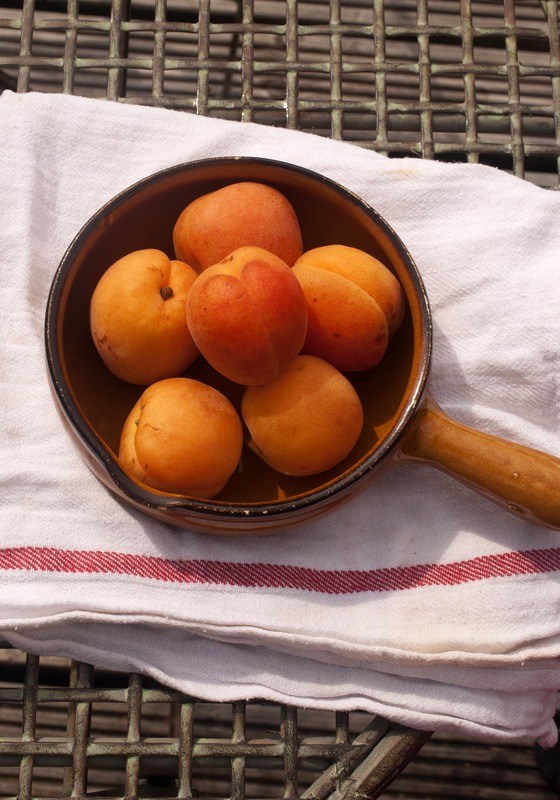 Put the apricots in a small pan with 50ml of water and the sugar. Set over a medium heat and leave to simmer. In a larger pan, melt the butter, then add the golden/agave syrup and sunflower oil. Stir in the oats. Spread half of the oat mixture in the bottom of the tin, pushing it flat. By this time, the compote should be syrupy and the fruit almost entirely broken down. Spoon the apricot compote over the bottom half of the flapjacks and scatter with half of the pistachios. Cover with the rest of the oat mixture and stud with the remaining pistachios. Bake for 10 minutes until the top is just starting to brown. Leave to cool in the tin, then turn out and cut into squares. For the icing, sift the icing sugar into a bowl and stir in the rose water until you have a smooth paste. Drizzle artfully over the flapjacks. 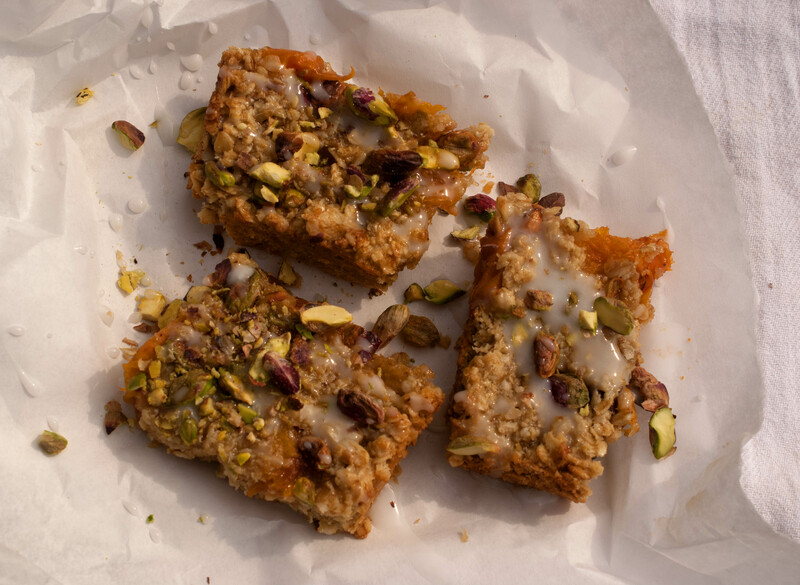 This entry was posted in Baking, Fruit and tagged apricots, flapjacks, oats, pistachios. Bookmark the permalink. 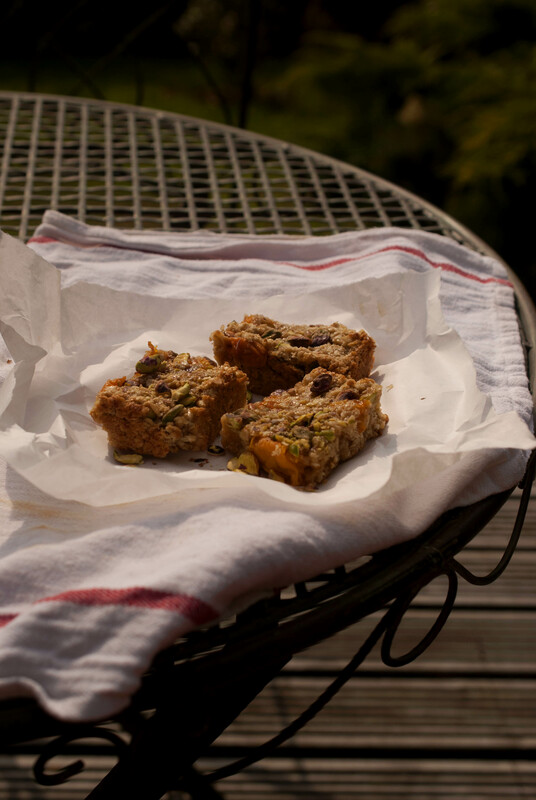 These were the nicest flapjacks I’ve ever tasted – not too sweet and a lovely combination of flavours.